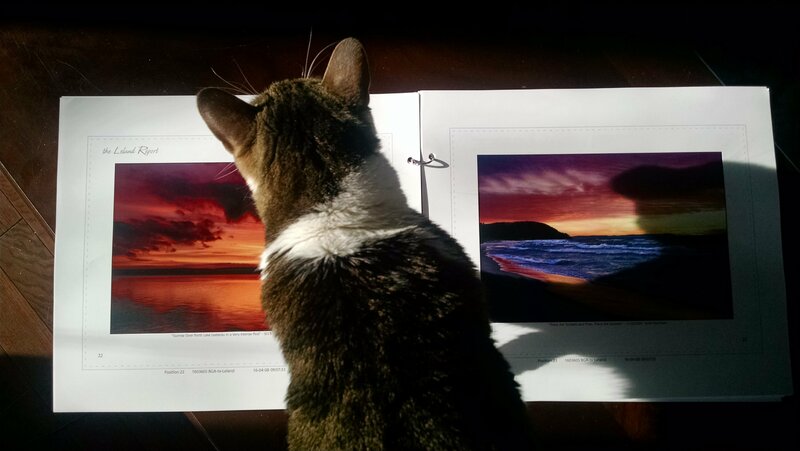 Just like I asked our cat while she was walking on the proof from the printer. Why? I’ve been a student of photography, as I’ve heard many other photographers claim, since the beginning when I first realized I had a connection to the art of the process. Photography is a process, both in action and in spirit. Like the force in Star Wars, it is energy “created by all living things, it surrounds us, it penetrates us, it binds the galaxy together.” And if you consider the Voyager mission, that quote is not so far off. So, while all the photography outings with my Dad when I was a kid were more to go for a ride on the Honda, I think subconsciously he set into motion this feeling I discovered back in the decade after college, but always knew I had. In high school, I had a camera. In college, I had a camera. 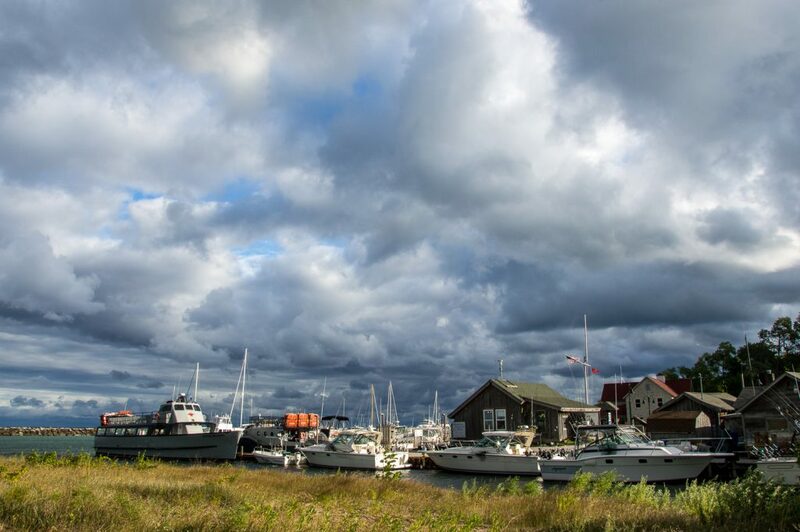 During all the Summers in Leland, I had a camera. I have a milk crate filled to the top with slides and negatives dating back to the early 1980’s. The infamous Honda 175, great for “field trips”, literally. My Dad’s journey was different. 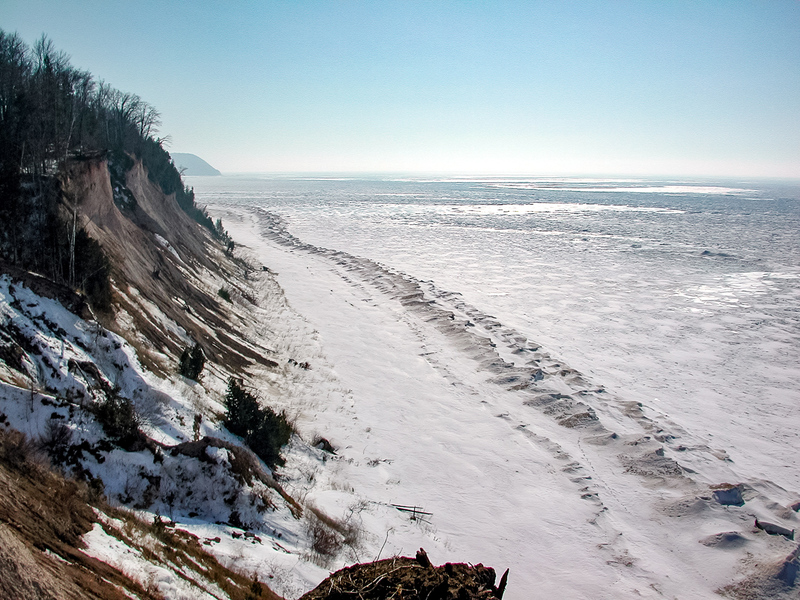 He was introduced to photography indirectly by his step-father, Charlie Kluk. Charlie left Dad a pile of 3×5 negatives that Dad wanted to print, so he set up an ad-hoc dark room on the back porch of his Grandparent’s house in North Riverside, IL. One of the 3×5 negatives from Charlie Kluk’s album. Keith is on the right. 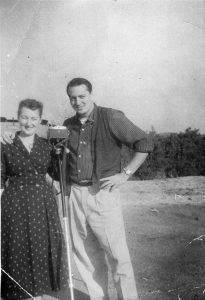 Keith didn’t actually get a camera until 1955 when he lived in California. Still, he didn’t catch the photography bug until later, when he started coming to Leland regularly in the early 60s. At that time, he was using my mother’s Leica M3. He used that in Leland up until the 70’s. 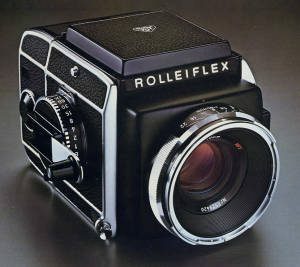 He also used a Rollie SL66 medium-format camera. 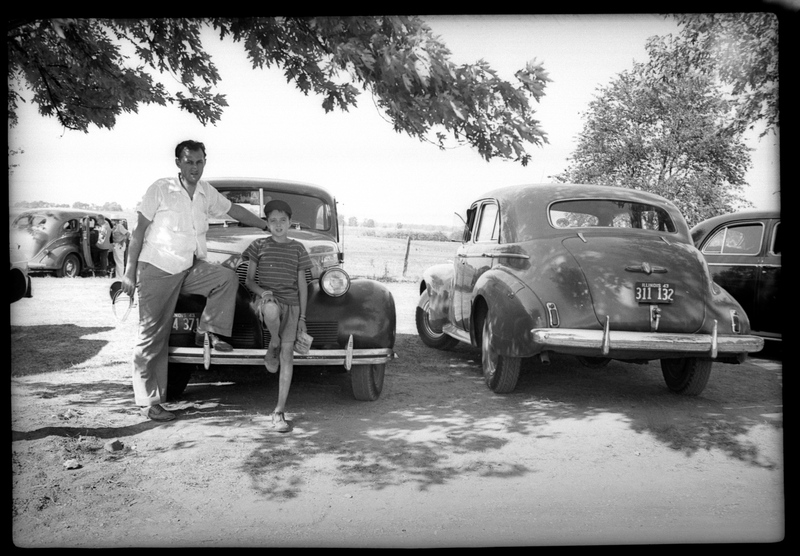 He developed and printed from his own negatives in a darkroom in Riverside. 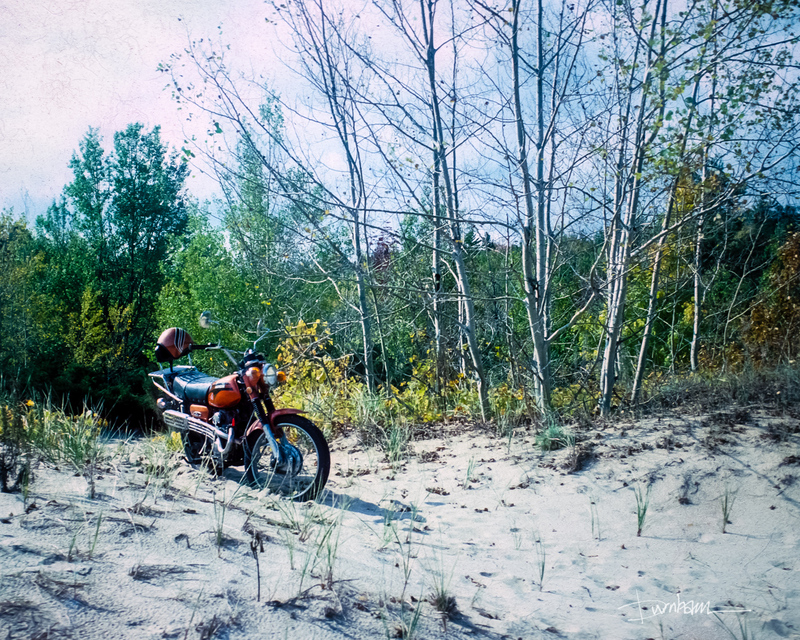 Later, with a Nikon FT, he would ride the countryside on his orange Honda 175 looking for landscapes. Still later, armed with a Nikon 6006 35mm camera, he would take slides of the Leland Yacht Club’s Barbecruise day, develop them in the bathroom of the Beach House and mount them for display the same night at the barbeque. Anyone who knows what goes into taking, developing and mounting slides same day at home can attest to this herculean task. The afternoon was filled with a cadre of volunteers cutting and mounting the slides for the show at the evening BBQ. Our paths were similar, where he left off, I picked up. When 35mm systems became affordable, my Dad sold his Rollei and bought a Nikon FT system complete with lenses. 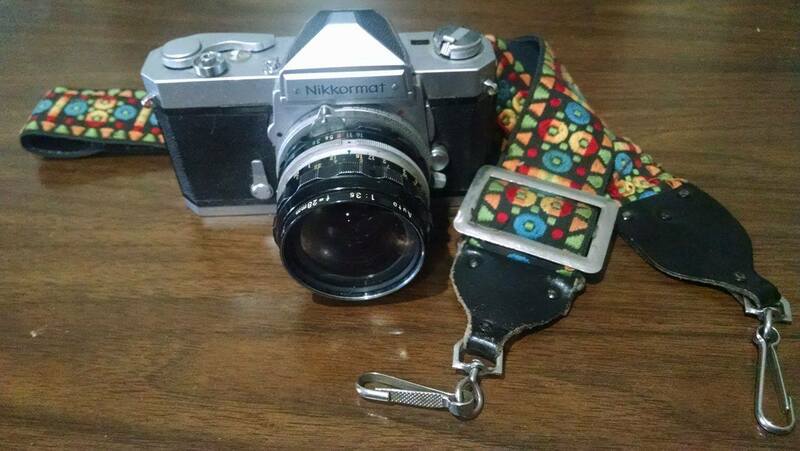 I have one of those Nikon FTs already loaded with a roll of film. When I got it, it had 12 frames already exposed. I am dying to develop it to find out what they are. I just have to take 12 more frames. My evolution started with the same FT that he gave me. He taught me how to take a bulk spool of Kodak black and white film and custom load my own cartridges. You have to do it by feel and sound and in complete darkness. I still have a spool of Fuji Velvia ASA 50 film. That might be what goes into the FT when I finish the roll. I bought the Ansel Adams five book series on photography. I took a night class with Kirk Kruetzig and finished a full course on photography and the New York Institute of Photography. After that, I shot with one of Dad’s old Nikon 6006s. 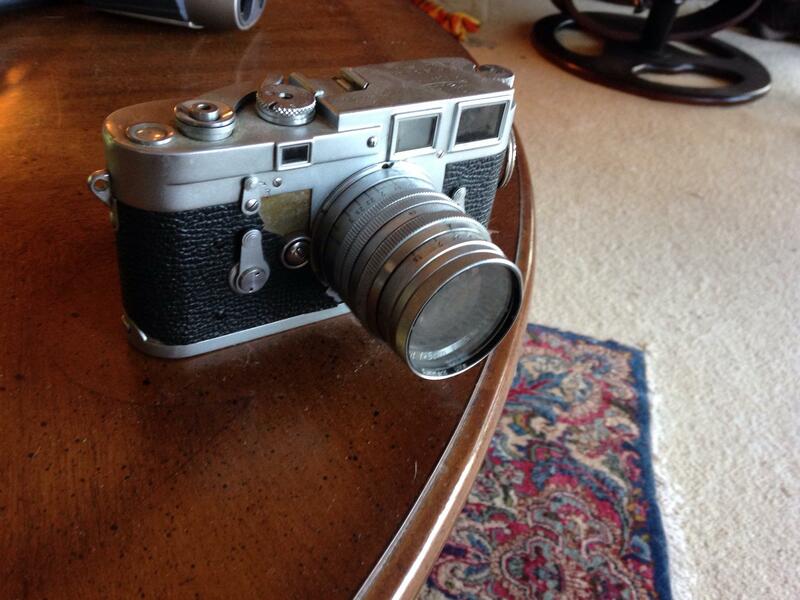 That was my first automatic SLR, sort of a learning system. After that, I bought my own N80. At the same time, digital cameras were just starting to come on the scene. The best ones had 1.5 Megapixels of resolution. My first was a Kodak DC290 in 2000, which had 2.1 megapixels. It was actually a really good camera for the time. I think Kodak dropped the ball entering the market and lost a lot of ground catching up. But film was still king. The majority of what I shot was still on film. The DC290 was a toy. At the same time, my Dad bought his first digital camera, a Nikon CoolPix 990. That had 3.1 megapixels, but it was still a “point and shoot” camera. That was a year before we started the Leland Report. 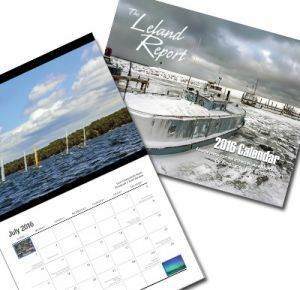 Most of what was shot for the Leland Report from 2001-2003 was from the 990. The 990 worked so well I bought the next generation 995. On 9/15/03 Dad switched to a Nikon D100, the first advanced consumer grade digital SLR for our family. Six megapixels allowed us to offer bigger prints. Being able to change lenses gave us more options. 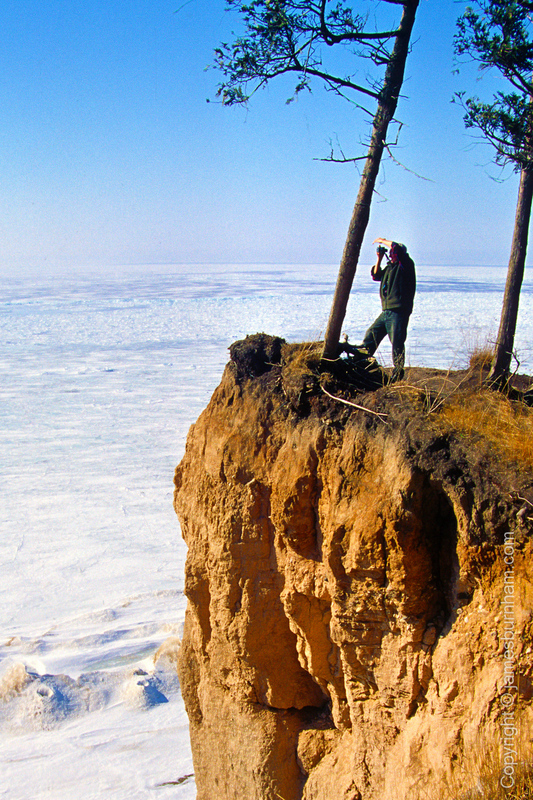 I took this picture with my Nikon N80 film camera of Keith on Clay Cliffs taking a picture with the Nikon 990 digital in 3/14/03 when Lake Michigan was 100% ice covered. Here is the photo he was taking at the time! First Leland Report with the D100. 6 megapixels of goodness 9/15/2003. At that point I believe my Dad was officially off film. No more long stints in the darkroom or nasty chemicals, but he had moved to Leland by that time and didn’t have that luxury anymore (was it really considered a luxury?). However, I was still shooting film. I had more to learn. I dived deeply into every part of the workflow, learning how to not only take the photos, but scan the slides and negatives and print them myself. I, like all photographers who print their own work, struggled with matching monitor images to prints. The struggle made me more determined to make the digital process work. I took all the photos of my kids as babies with a film camera and scanned the negatives and slides into digital form. I did all my “darkroom” in digital. At the same time, I took all the photos of my daughter’s birth with a disposable camera. I was still writing down my image exposures in a notebook for reference later. There was a better way coming. When I bought my first “pro-sumer” Nikon digital D70s in 2005, I officially dropped film. 6 megapixels was plenty for prints. No more waiting a week for developing AND all the image exposure data is saved with the file. I’ve been 100% digital since. However, I am glad I suffered with film for as long as I did, it makes me appreciate digital that much more. 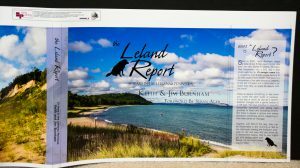 The evolution of the Leland Report was in step with the evolution of digital photography itself. It was born from digital photography and the internet. It has grown with digital. Who knows where it will go. We’ve gone from 3 to 24 megapixels, but you would be hard pressed to know the difference unless you zoomed in on the photos. At present, Keith uses a combination of an iPhone, a Sony compact and a Nikon 3200 while I have a D7100. Meggen Watt Petersen, who has impressed us with her Monday shots is using a D800. Regardless of the camera technology, we have created a library of beautiful images. In the right hands, even the worst cameras can be used to make good photographs. But a book? That’s a different animal. For that, you have to find a publisher, negotiate deals, hire out layout artists, writers, editors. 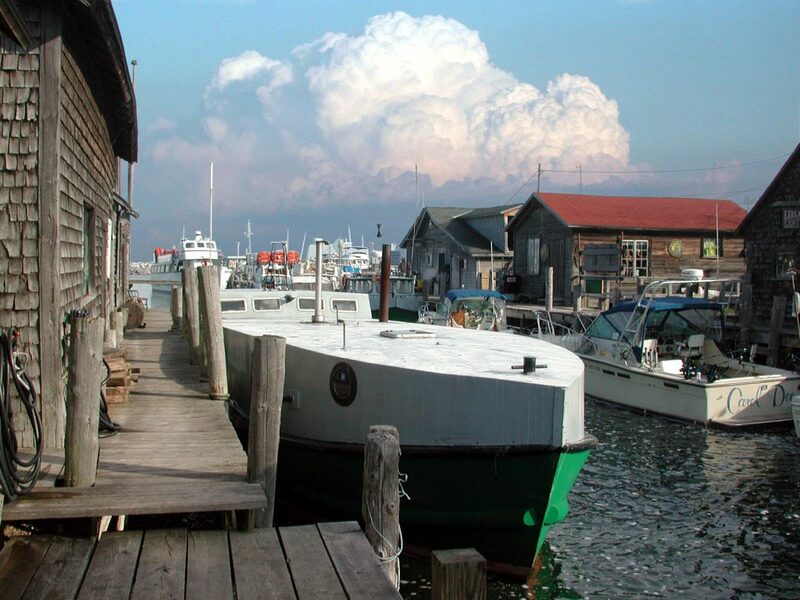 It all seemed very daunting when we were first approached by Mackinac Island Press 10 years ago. At that time I didn’t feel like we had enough of a library or reputation to dare a photography book. Being a popular website does not always translate into a book. But I dragged my feet. 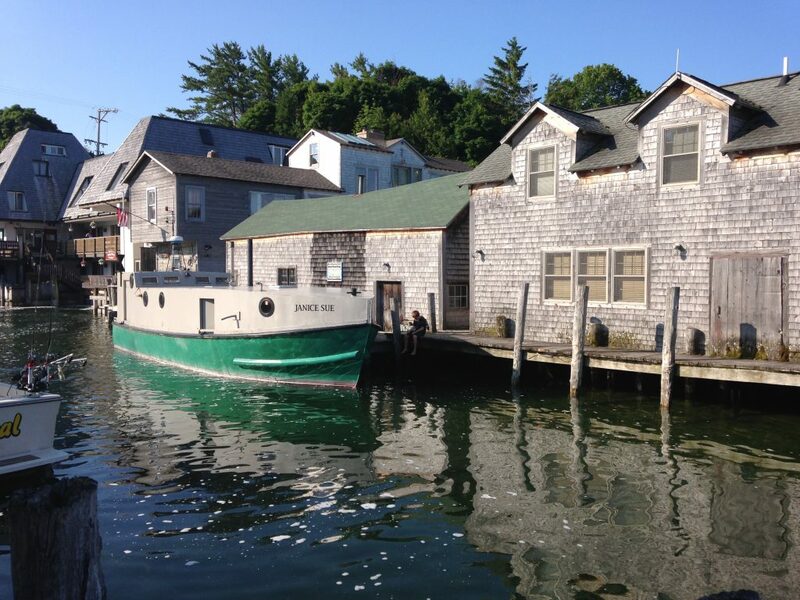 Mackinac Island Press went bankrupt or was bought by another publisher, I don’t know, but they went away. I thought I missed my chance back in 2007. About a year ago I had an epiphany. I realized in giving my Dad this platform to which he can advertise this region by way of his talents, I managed to create a brand. Also, people who recognize Biscuit and get their picture taken with him reinforce that brand. It was so much that I added Biscuit to the Leland Report Logo when we switched to the new blogging platform. I remembered I was now sitting on 14 years of wonderful images. Despite people asking about the possibility of a book, I was not in a position career-wise to dedicate time to that. After I switched jobs to something closer to home without the overnight support annoyances, I had an additional 10 hours a week. The time was right for the book. I had been laying out the calendar from scratch for seven years, so if I can do that, how hard could 116 pages be? Keith, of course, has a majority of the photos in the book. I have close to 20, but I could not forget the contributions of Meggen Watt Petersen, whose Monday posts have delighted us for over a year now. She wrote the section on Fishtown and I included a couple of her great shots on the subject. I’ll write another chapter on this later on what went into laying out the book. Thanks for reading! Let me know your thoughts! Wonderful background story! 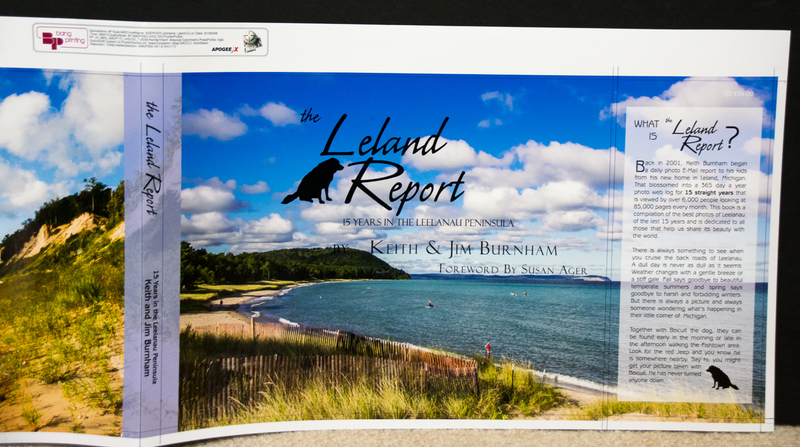 Hooray for The Leland Report and for the Burnhams! I am hoping we could send a copy or two to heaven where all our fore fathers woud have a chance to see has gone on since they left us. What a treat. Thanks. Very interesting reading. As a person uneducated in this field, it’s amazing to learn what-all goes into photography and a book like this. I was glad to read that Susan Ager will be involved – it was her article in the Free Press years ago that alerted me to this web site and I’ve been following it ever since. I can hardly wait for the finished product – it will make a wonderful present for those who love this area – but me first! Yes Skip, hopefully in the next couple weeks I’ll have it available. I’ll put you on the list to get the announcement. Congratulations. We at Good Old Books will be happy to carry your book because it is indeed a rare treasure. That’s great! Thank you George and Merry! Oh my! How interesting!! Reading material like this just adds to the intrigue and specialness of “The Land of Delight.” Please, more! With that background in photography, it’s no wonder that you turn out such great work.